LONDON, United Kingdom — Healthy food delivery company The Detox Kitchen has launched its first-ever crowdfunding campaign to support ambitious plans to meet the rise in consumer demand for accessible and nutritious food options. Posting a target of £550,000, for 7.8 percent of the company, Founder Lily Simpson said the funds will predominantly be used to help the brand expand its online meal delivery service, which has seen 70 percent growth in the last six months. “Six years ago I cooked and delivered the first Detox Kitchen meals – a box containing breakfast, lunch and dinner which we delivered directly to our customers’ doors throughout central London,” Simpson explained. “Back then I felt an overwhelming sense that the diet industry needed a shakeup and I knew that we were going to play a huge part in it,” she added. Since then, the all-natural meal delivery service with two central London delis has delivered over one million meals to thousands of customers in London. 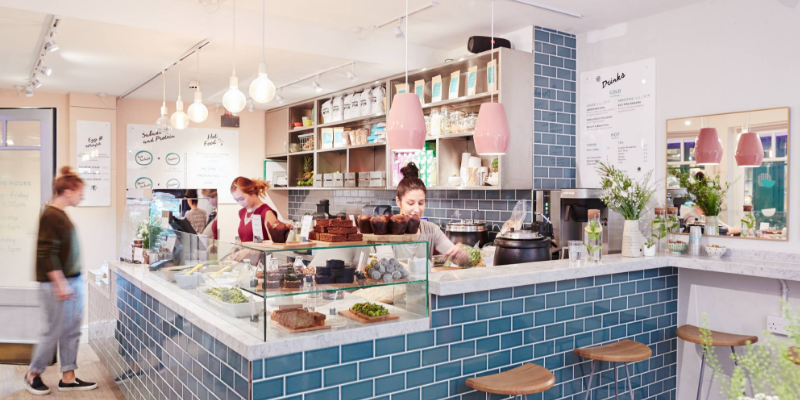 In addition to its delivery service which has generated an average monthly revenue of £243k in the current financial year and accounts for almost 50% of the company’s total revenue, its two delis continue to serve over 2,500 customers weekly. Currently privately backed by London-based venture capitalists Encore Capital, which invested £2m in the brand in 2016, The Detox Kitchen plans to use its new funds to increase its kitchen capacity, invest in a sophisticated tech platform for its meal delivery services, and make key hires in its marketing team and customer acquisition initiatives. This will enable the brand to take the next steps in reaching its goal to make healthy and nutritious food as accessible as possible “so that more people can enjoy the real benefits of eating real food made from real ingredients”. According to Simpson, The Detox Kitchen is perfectly positioned in an exciting market that is experiencing exponential growth. And as the trend for food deliveries continues to increase rapidly, the brand plans on leveraging that momentum to scale the business further.